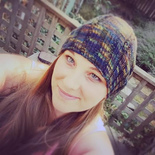 This sweet little hat is prefect for Valentine’s Day or any other winter day. 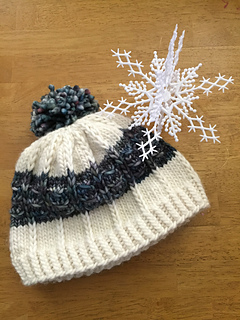 The hat features both wrapped stitches and slipped stitches to produce a sweet and subtle detail that will work nicely for both a girl and boy. Simply pick your favorite variegated skein and a coordinating semi solid and create a hat that is perfect for the little sweetheart in your life. This hat is a one size fits most hat that will fit up to a size 20” head circumference. It was designed to be a child’s hat but could fit an adult with a smaller head. The design detail would look lovely on children and adults.